This is vinyl wrap is designed to go around the padding on the frame of most go karts. 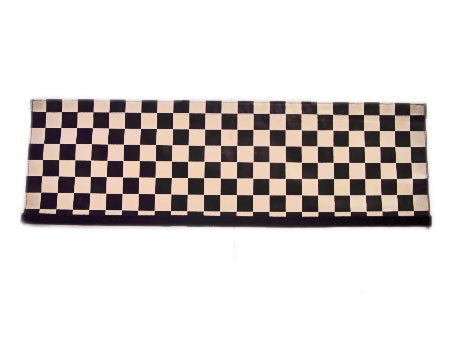 It was compatible with for the Yerf-Dog go-carts with the checkered vinyl. Has the velcro the full length. Easily wraps around 2" foam but possibly can do up to 2 1/2"
Perfect addition to your brushguard.